 Good idea Richy, what about using the M1800 logo that pdn came up with for the Spain trip and start a theme that we could use on future trips as well. 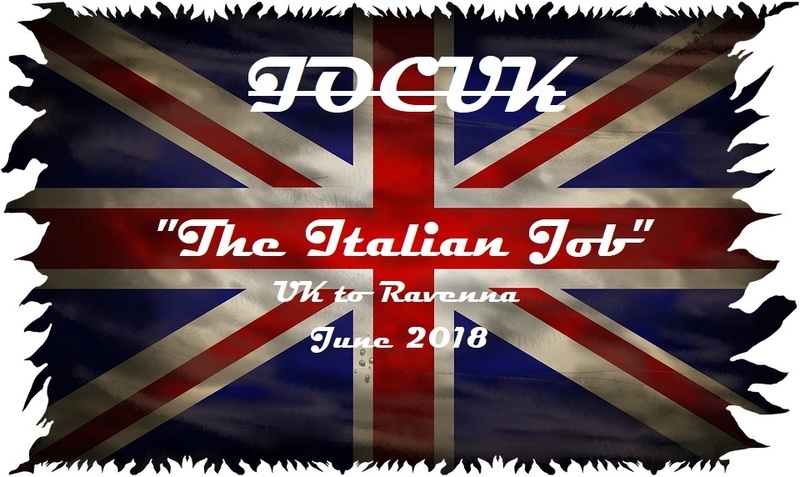 I like the phrase "The Italian Job", as long as none of us end up going through a tunnel headfirst into a digger! You're right Ian, I will change it. You may have an issue with IOCI on the Italian flag. There was a bust up some years ago and the organisers of this event are not in the Italian club but are Free Bikers Italy. Best check with Gabriele. I need to see if I could copy the bike part or if whoever has could send it to me and we'll go from there. 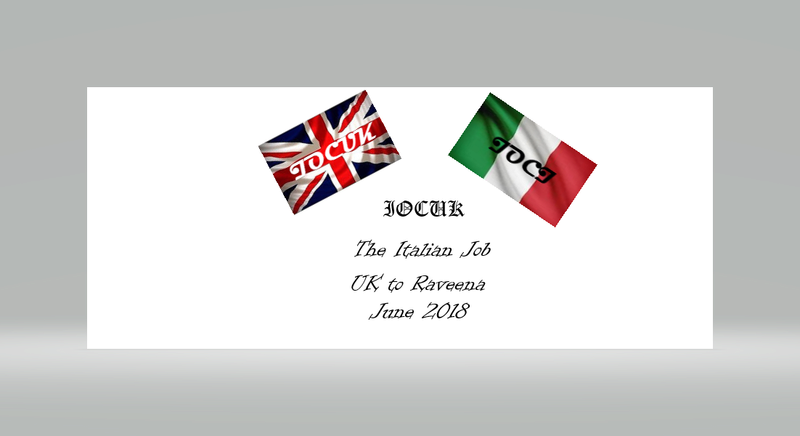 Do you want Intruders UK like the Spain one, or IOCUK, leave the Union Flag off and have "The Italian Job" and UK to Ravenna, June 2018 ? Just a thought, a big Union Flag with everything in the middle of it like you said Vic?? I'll see what I can come up with and see what everyone thinks. 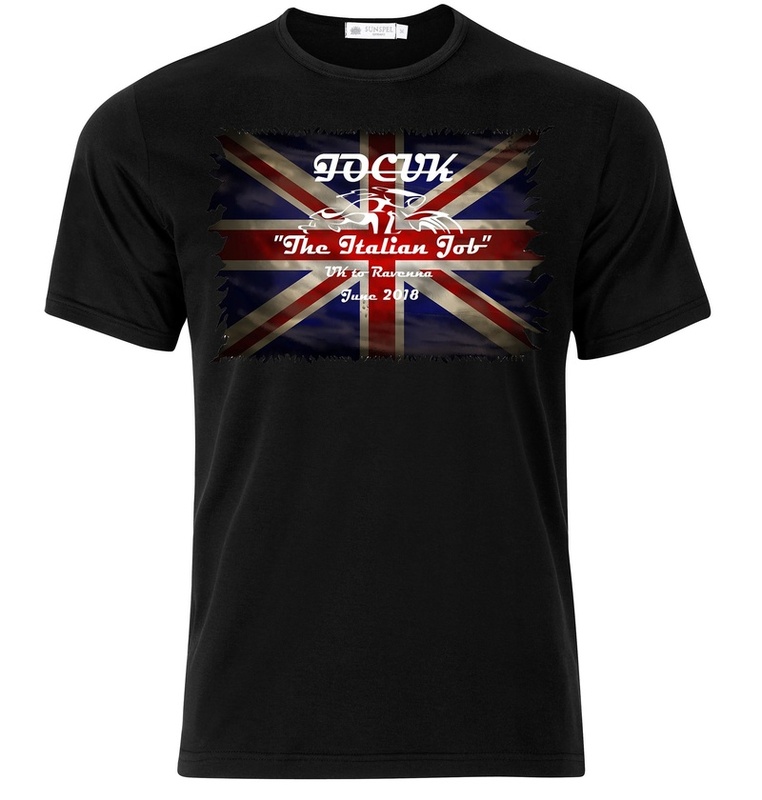 This another design I've come up with, it will have the Spain t-shirt bike image added to it but can't transfer it yet. @Richy Y wrote: This another design I've come up with, it will have the Spain t-shirt bike image added to it but can't transfer it yet. This design and the bike image are at the printer to see what he can do and also a price. @Richy Y wrote: This design and the bike image are at the printer to see what he can do and also a price. This is the final design for the t shirt. Cost will be £12.50 +P&P. If you want one, even if your not going but would like to have one then I need sizes and quantity you require so we can have them made and delivered in time. Hi mate can you get different colours instead of Black, just wondered. I'll take an XL and a 3XL were not going but are going to pretend we did. I will pretend also so Martin don't feel alone, 1 x 2XL for me please. Darren I'll ask but I'm not sure if he can get PINK in your size. One size large for me please cheers. Richy, don't mock it, until you try it. Could I have 2 please 1 x large and 1 x 2xl. I'll have them in black unless you can find a darker colour. I sadly cant go, but the t-shirt is great. 1 x medium for me please. I've been asked about Colour And Sizing. This is the link for the company and in it you can find everything, most of it in the "design your own" link. Have spoken to Gary at Durham custom prints and he can do any Colour you want, which is nice. Hi Nice colour choice Paul. Great T-shirt that Richy put us down for 1 off medium in Irish Green, 1 off XXl in Black and 1 off XXl in Heather Grey. Let us know when you need payment owd lad. @Jimbo wrote: I will pretend also so Martin don't feel alone, 1 x 2XL for me please. Just had a word with Gary at the printers and your last day for orders will be this Tuesday, after that I don't know that you'll get it in time. @Sparks wrote: Great T-shirt that Richy put us down for 1 off medium in Irish Green, 1 off XXl in Black and 1 off XXl in Heather Grey. This is the link for a clearer idea for the choice of colours. Hi there Change off mind, if it's not too late now, Navy Blue X Large size. @The Prospector wrote: I'll take an XL and a 3XL were not going but are going to pretend we did. The order will go in tonight when I get in from work, 1800 hours. For those who haven't specified a colour, the default will be Black. Cost per t shirt is £12.50 plus £2.80 p&p with a maximum of 2 per package, so work out your p&p if you've ordered more than 2. Can you also give me your name and addresses as Gary (the printer) is going to send them direct to you with Hermes. Estimated delivery is hopefully next weekend or the following Monday. Sent you £27.80 for 2 tshirts mate. Put my name and address in the notes on PayPal.